As we break into the New Year, I am realizing this year is going to be REALLY different. I see people awakening and no longer able to stand for old concepts or beliefs that just do not work. Whether you continue with the full series or not, I encourage you to listen to the 5 free Fundamental calls. This will be an important step furthering you towards your own freedom and the collective's. 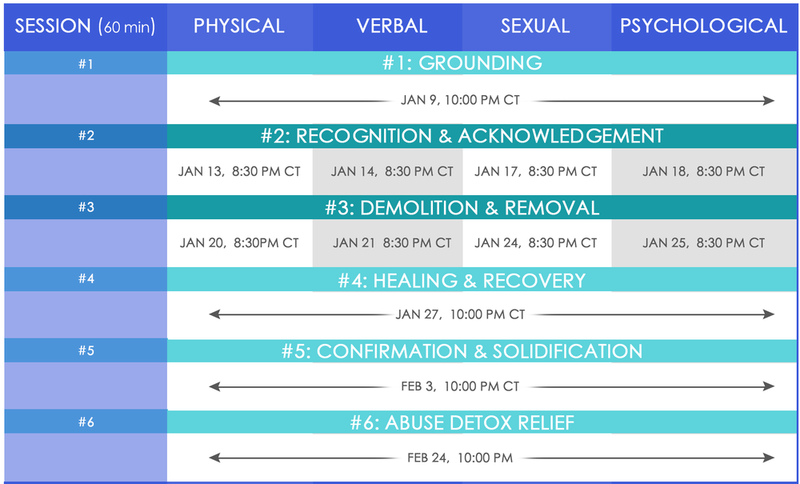 If you feel you are not yet ready for the intensity of the Abuse Recovery Series, you may find the following sessions to be useful next steps for where you’re at.